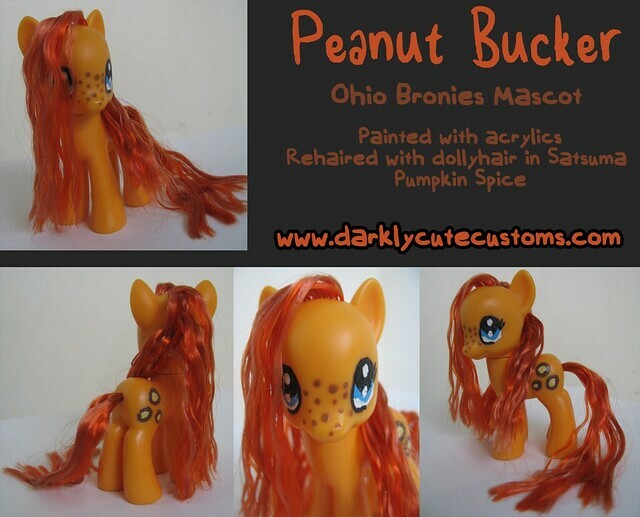 This is Peanut Bucker, she is the Ohio Bronies Mascot. Her cutie mark is candy buckeyes. I am also working on a G4 Fashion Style version of her. I love the little freckles on her nose!